The New Year is just around the corner, and normally we make New Year’s resolutions about things we want to do differently in our lives. We make a vow to break our bad habits and do what we know will be good for us, but not necessarily good to us. What usually happens is that we will change for a month or so (sometimes a week or a day), and then go back to our same old bad behaviors. Sound familiar? This year, how about doing something a little different? Instead of making a New Year’s resolution, make a “New Year’s petition.” What does making a New Year’s petition involve? Instead of making a declaration of what I am going to do and then try to accomplish it through my own will power, I ask God to change me. Period. After I ask God to change me, I listen for His instructions as to what He wants me to do in order to facilitate this change. I ask Him, “Lord, what is my part in this?” I then wait for a divine strategy that will be guaranteed to work. I search the scriptures about the particular issue I am dealing with and continue to study in this area until I get a breakthrough. I wait for the power of the Holy Spirit to make the difference and give God the praise when I see change in my life. Notice that none of this entails trying my best, failing, feeling a bunch of condemnation, telling God I’m sorry over and over, and repeating the cycle. Instead, I pray, I pour in the Word and let the power of God change me effortlessly, depending on the grace and mercy of God until He finally sets me free. If I fail, I repent, ask for forgiveness, and ask God to help me once again. I get up, I move on and keep leaning on Christ until I get the victory. I know this concept may seem foreign, but Jesus said in John 15:5, “Without me ye can do nothing.” That means that trying to change in your own strength will produce nothing but frustration. Your own works apart from Christ’s assistance are what’s called “works of the flesh.” It’s a waste of time and effort. Only the power of God will suffice if you want to successfully change your behavior for the long term in the coming year. Therefore, make your New Year’s Petition to God, and trust and believe victory will indeed be yours. What is your New Year’s petition for the coming year? Please leave a comment below. 7. Read the Word and believe it. If you know the Word, you know that you can claim the promises of God. When you can claim His promises, it affords you the opportunity to be healed and live life anxiety-free as you cast your care on God. Also, the Word is like medicine to your body. (Proverbs 4:22). Therefore, to stay healthy, take it often. 9. Cultivate good spiritual relationships. Studies have shown that people that have good relationships live longer. When you have good, solid, faith-filled people in your life, you have a reason to try to stay healthy because your life is interconnected with theirs. When you have other people to help bear your burdens, then you enjoy life more, your soul is more peaceful, and your stress level is minimized. When you have someone you can trust, you have a place where you can safely confess your faults, and your soul can be healed (James 5:16). 10. Forgive everyone who has hurt you. Make peace with your parents, siblings, family members, friends, and anyone else who has hurt you. If you harbor unforgiveness in your heart, the result will ultimately be sickness and disease. The Bible says you will be turned over to the “tormentors” (Matthew 18:34-35). Absolutely no one is worth ruining your health over. If you will take action spiritually and physically, you will live a long life and have a good quality of life. Even if you have sickness in your body right now, start where you are and begin to try to do the things that have been mentioned. God is still in the healing business. When you look at the top ten things that need to be done in the natural and the spiritual in order to maintain good health, how do you measure up? What do you need to do differently? Leave a comment below. The holidays are coming up, and then we will go into the New Year. Every year we make New Year’s resolutions, and one of them may be to pay more attention to our health. Health and spirituality go hand in hand. The Word tells us that our bodies are the temple of the Holy Spirit. Therefore, maintaining the dwelling of God is a spiritual matter indeed. Watch what you put in your body. Drink lots of water, eat a healthy low-fat diet, and try your best to keep food additives and chemicals out of your diet. I firmly believe that cancer is the result of all of the chemicals that are being put in our food. If you can’t pronounce it when you read the label, don’t eat it. Get adequate amounts of sleep. Many of us are burning the proverbial candle at both ends. Sleep is restorative in nature. You’ll feel and function better when you get adequate amounts of sleep. Furthermore, sleep helps your body to heal from sickness and disease. 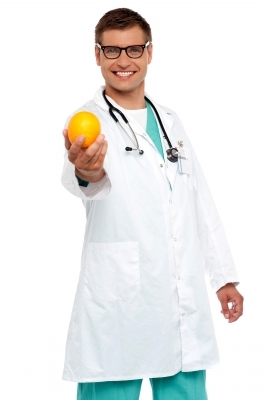 Get the necessary health screenings at the ages and times prescribed by your doctor. If any malady does arise in your body, when you are getting your health screenings regularly, you have a better chance of catching it early when you have the best chance of curing it. If you don’t have health insurance, scour the Internet or ask your doctor about programs that will do these health screenings for free or at a discounted rate. Exercise. If you want to stay strong for the long haul, you must do exercise that gets your heart rate up and benefits your cardiovascular system. You also must lift weights so that you keep your muscles strong and don’t lose muscle mass as you grow older. In other words, keep it movin’. Educate your self on health issues and apply the knowledge. New health information based on various studies is regularly relayed by the medical community. When you hear these findings in the news or read them in magazines or online, you need to take action and apply that knowledge. It could save your life. These are things we must do in the natural to keep ourselves disease free. If we do our part, God will surely do His part. In the next blog we will address the spiritual things we need to do to maintain good heath. In what areas do you need to step up your game to maintain your health? What has the Holy Spirit told you? Leave a comment below.